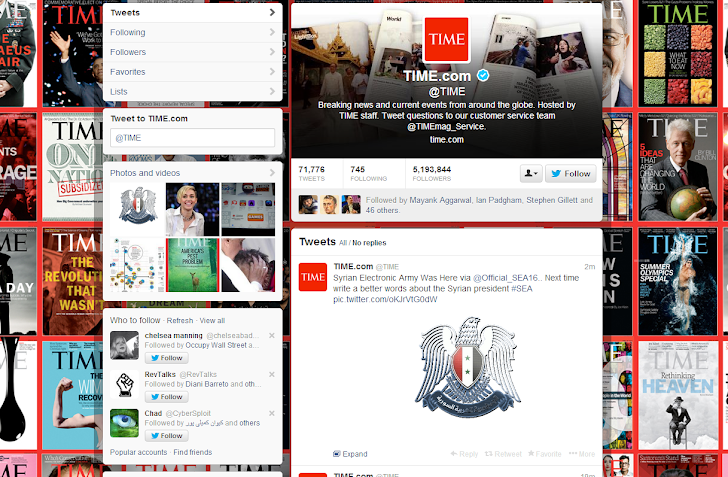 Just now, The hacktivist group Syrian Electronic Army (SEA) briefly took over the Twitter account of the TIME Magazine. The Hacker group tweeted from the TIME's official account, "Syrian Electronic Army Was Here via @Official_SEA16..Next time write a better word about the Syrian president #SEA" with their logo, as shown above. TIME Magazine is currently hosting polls for Who Should Be TIME’s Person of the Year? and on their website the Syrian President Bashar al-Assad is described as, "Syria’s ruler presided over a bloody year, shrugging off international concerns over the use of chemical weapons as the death toll of his country’s civil war eclipsed 100,000." How they have hacked into TIME's account is not yet clear, but the group is famous for using advanced phishing attacks to conduct high profile hacks. The TIME's tweet was deleted by TIME's staff just after 10 minutes of the hack. In a separate tweet on their own twitter handle, the hackers said, "We think Bashar al-Assad should be @TIME's Person of the Year." 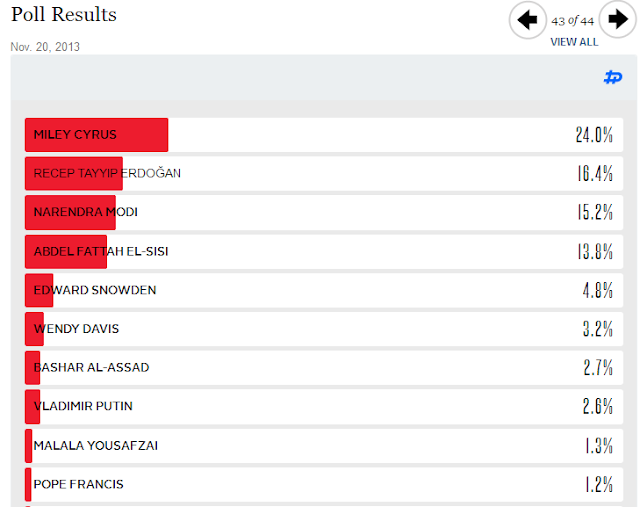 So far Syrian president is at 7th number with 2.7% votes only. The Syrian Electronic Army is an organized hacking group loyal to the Syrian President Bashar al-Assad and known for their high profile cyber attacks. This year Syrian Electronic Army hackers were able to disrupt the New York Times web page multiple times, Twitter, CNN, the Huffington Post and Global Post and many more targets. Stay tuned to 'The Hacker News' for more updates on the story. Update: TIME Person of the Year poll is over. The hacker group also temporarily closed polling after hack.